"Rethinking Online Education" analyzes online educational materials on the recent Iraq war aimed to be used by U.S. educators in elementary and secondary schools. It is suggested that far from being ideologically neutral, these educational materials weave together resources which provide a coherent view of the Iraq war theme, and can thus been seen as constituting a kind of an informal curriculum. 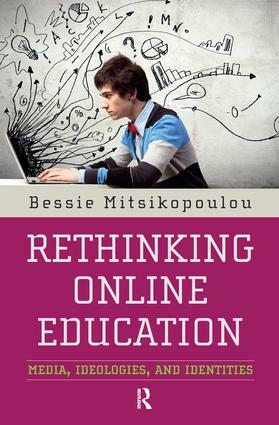 Mitsikopoulou argues that the teacher resources adhere to different pedagogical discourses and constitute materializations of two broad approaches to education. A number of pedagogical issues are also raised in the discussion: What is the difference between critical thinking and critical pedagogy? How is the genre of lesson plan realized in different teaching philosophies and how do curricular texts change when they are delivered online? This important book highlights the need to explore the new forms of textuality which emerge from online curricular materials and to develop an understanding of the processes of text composition, distribution and consumption.